This article explains how to manage tasks using Homebase. 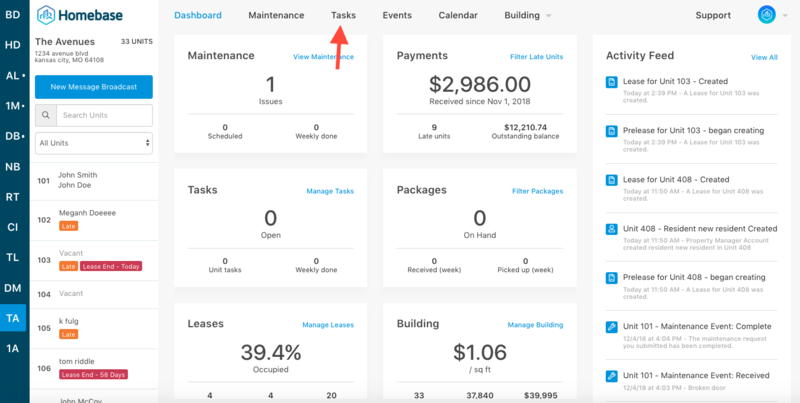 Within the Homebase Community Manager, Tasks are used as a checklist for property staff. From the Building Dashboard select Tasks from the top menu. 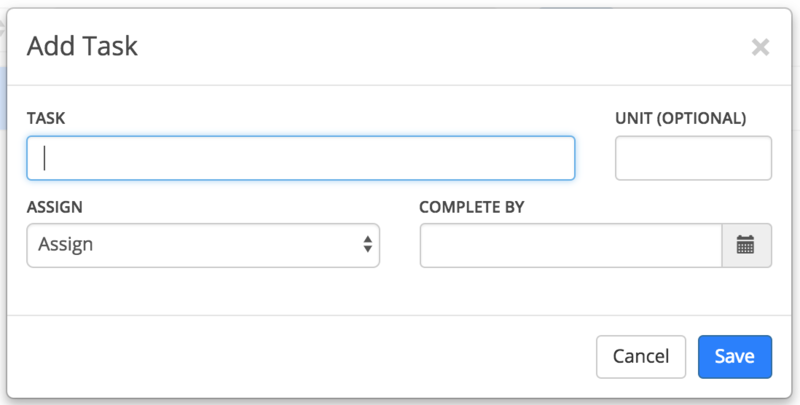 To add a new Task, hit the New Task button from within the Tasks heading. Enter the task information and hit the Save button. To complete a task, hit the checkmark to the left of the task in the list.